Andrew Brodie was shot in a little valley a few hundred yards from Culteuchar Hill in 1678. 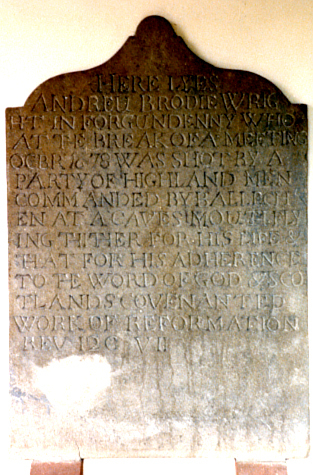 The original gravestone to Andrerw Brodie is located in the vestibule of the church. A newer marker is located in the kirkyard.